Keith Clark arrived in Washington in 1986. Keith Clark has a unique ability to combine activism, business sense, and art to establish LGBT community institutions. He simultaneously led organizations and operated businesses, and in so doing created four famous brands in our community – One in Ten, Reel Affirmations, the Pennsylvania Avenue Capital Pride Festival, and Universal Gear. Art plays a key theme in Keith’s life and has been a strong influence in his service to the LGBT community. Born in St. Louis in 1961, Keith was raised in the small artist town of Nashville, Indiana. Introduced to DC by two internships, he moved here in 1985 after graduating from the University of Cincinnati with a degree in Design, Architecture, Art, and Planning. In the mid-1980s Keith volunteered with the Whitman Walker Clinic, raising money for the early AIDS Walks. The book After the Ball inspired him to create the LGBT arts organization One In Ten in 1990 to tell our stories and history as LGBT people and to humanize our community to the public. Keith was president of One in Ten from 1991-95 and again from 1997-98. His first project with One in Ten was an exhibit, "Famous Gay and Lesbians in History," which was displayed at Gay Pride in 1991. The exhibit was later displayed in several public venues around DC. In the fall of 1991, Keith and his friend and fellow One in Ten board member, Barry Becker, organized the first Reel Affirmations lesbian and gay film festival. Reel Affirmations grew to become the fourth largest LGBT film festival in the United States. Perhaps most important to that growth was Keith’s successful effort in 1996 to bring the festival to the Lincoln Theater. Keith will tell you that he is most proud of orchestrating the move of Capital Pride to Pennsylvania Avenue in 1995. Prior to that time, Capital Pride had been held in the small lot behind Francis School at 24th and N Streets and drew about 20,000 people in a good year. The Pride planning organization had struggled financially for many years and was looking for another organization to take over the event. One In Ten submitted the winning proposal to move Capital Pride to Freedom Plaza. With the help of an amazing committee of community leaders, including Ernest Hopkins, Cornelius Baker, and Mark Lee, Capital Pride was expanded to a week-long event including an AIDS Memorial, educational programs, an outdoor dance, a parade from Dupont Circle to Freedom Plaza, and of course the huge festival on Pennsylvania Avenue that drew an estimated 200,000 people. While leading these community activities, Keith also established himself as an important member of the DC LGBT business community. Bored with architecture and wanting to take more control of his financial situation, in 1993 Keith started a clothing store business that catered to the gay community. He and David Franco founded OffGear (later Universal Gear) in a store initially located on 17th Street NW. Keith served as the vice-president of operations until 2002, when he retired. Keith sold his portion of Universal Gear and moved to the beach to paint. His service with One In Ten's Museum Project continued until 2004. 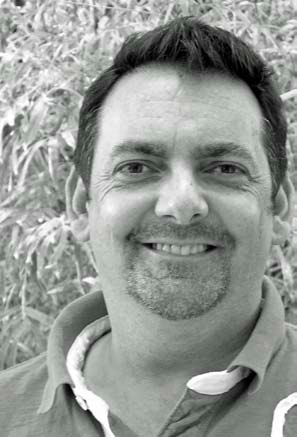 Keith later moved to Fort Lauderdale, where he was on the board of the Stonewall Library and Archives from 2005-2008. There he served as the capital campaign director and led the effort to raise $750,000 for the new Stonewall National Museum & Archives. Keith also was the executive director of ArtUnited, an LGBT arts organization, from 2008-2010. He continues to serve the arts community and is now the director of development for Flamingo Gardens, where he oversees financial development for the Botanical Gardens and Everglades Wildlife Sanctuary.